Thousands of records of physician malpractice and misdeeds are routinely expunged, leaving public in the dark about whether to trust their doctor — or find another. Russell Aims of the Board of Registration in Medicine said the board used to post digital copies of its disciplinary orders. In 2005, a Suffolk County jury decided that Dr. Mary Ames-Castro and another obstetrician caused irreversible brain damage to an infant girl during a delivery at Massachusetts General Hospital. The $23.8 million malpractice judgment was one of the largest in state history. But the judgment was never entered in a public database maintained by the state Board of Registration in Medicine. The board erased Ames-Castro’s profile from the database because she let her license expire after the botched procedure. Antwoine Key died in 2005. Now she is practicing medicine in Oregon under her maiden name, Mary Beth Ames, and also holds a license in Wisconsin. Because neither Oregon nor Wisconsin publicly records out-of-state malpractice judgments - and because Massachusetts deleted Ames-Castro’s profile - her current patients are left with the false impression that their doctor has a clean record. The veil of secrecy afforded to Ames-Castro is commonplace in Massachusetts, due to physician-friendly provisions in state law, the board’s policy of purging certain records, sometimes in violation of state law, and outdated technology. Over the last two decades, these routine omissions and removals have taken thousands of embarrassing records out of public view, according to a comparison by the Northeastern University Initiative of the board’s records and a nationwide database maintained by the US Department of Health and Human Services. For example, there have been 35 criminal convictions of Massachusetts doctors since 2002. In most states, such convictions are posted permanently online; in Massachusetts, not one is listed in the state medical board database. Among the missing cases: The recent conviction of Dr. Salah F. Abass, who was found guilty of indecently assaulting a nurse at his Methuen clinic; the guilty plea of Dr. William A. Houghton, who admitted to groping three female patients at his office in Gardner; and the recent federal prison term of Dr. Scott S. Reuben, a Springfield anesthesiologist who faked the results of 21 influential medical studies. By almost any measure, Massachusetts is a national leader in medicine. And in 1996, the state medical board became the first in the country to make doctors’ profiles public. But the board now lags well behind its counterparts in most other states, which have leapfrogged past Massachusetts in the transparency of its records on physician performance. Elsewhere, a patient could learn that her surgeon had, 12 years before, arrived drunk to an operating room, and decide whether she is comfortable going under his knife today. In Massachusetts, the same patient could not make such an informed decision because the medical board removes records of old misconduct from its doctors’ profiles. - The Massachusetts medical board is one of only three in the country that take down physicians’ online profiles when doctors lose or fail to renew their licenses, leaving no trace of their indiscretions for new patients to see if the doctors go on to practice in other states. - Massachusetts is one of only four states that wipe doctors’ disciplinary and malpractice slates clean after 10 years. In addition, the board does not post online its own disciplinary orders, which describe doctors’ wrongdoing, even though its counterparts in 36 other states do. - The board makes no public disclosure when Massachusetts doctors are penalized by medical boards in other states, even though it is required by state law to do so. - The Massachusetts board posts only clinical privilege penalties imposed by hospitals, and overlooks sanctions where an estimated 80 percent of medical care is provided - at medical clinics, outpatient surgical centers, nursing homes, and other nonhospital settings. Medical board officials point out that some policies - like the 10-year posting window and the exclusion of nonhospital sanctions - are mandated by state law, and thus beyond their control. But there is no statutory basis for the deletion of doctors’ profiles, and the absence of out-of-state disciplinary records is a blatant violation of law. Linda DeBenedictis, president of the New England Patients’ Rights Group, expressed disappointment that the state board is withholding so much information from public scrutiny. 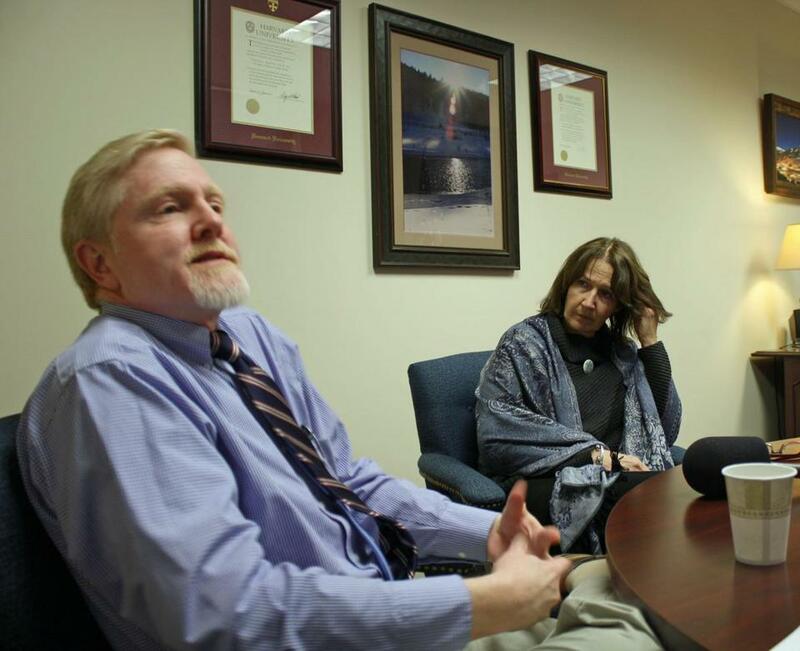 “It’s a system that favors physicians over patients, and it’s tragic,’’ DeBenedictis said. Dr. Stancel M. Riley, the medical board’s executive director, asserted in a recent interview that the board’s philosophy “is to make as much information available to the consumer as possible because we think that keeps everybody safe.’’ The seven board members, five of them physicians, were appointed by Governor Deval Patrick. Riley defended the practice of wiping clean disciplinary and malpractice records after a decade, arguing that “if nothing has happened to you in 10 years, you would think that would be a good indicator that you were pretty good.’’ He also said patients could be confused if the profiles of unlicensed physicians remained in the database. Forty-seven other states’ medical boards have decided the value of keeping former licensees in their databases outweighs the possibility of confusion. Riley and his deputies, however, acknowledged significant shortcomings in other aspects of their disclosure policy. Riley, for one, said the exclusion of nonhospital sanctions from the database is a “big hole.’’ The federal database, maintained by the US Department of Health and Human Services, shows that 40 percent of all disciplinary actions against Massachusetts doctors during the past decade, 118 in all, were for incidents in nursing homes, medical clinics, and managed care facilities. Other lapses are simply puzzling. Another major omission has resulted from a Catch-22-like requirement in state law. Russell Aims, the board’s chief of staff, said the board used to post digital copies of its disciplinary orders. But an online accessibility law requires that documents be available in a text-to-speech format for the visually impaired. Because the PDF format of the disciplinary records is not compatible with text-to-speech software, Aims said, the law dictates that such records cannot appear in the database. If the visually impaired cannot access the information, then no one can. Massachusetts built the nation’s first physician profile database in 1996 after a string of unchecked medical errors at Quincy Hospital (now Quincy Medical Center) and a series of Globe Spotlight articles revealed how little patients knew or could find out about their physicians. Despite resistance from some members, the Massachusetts Medical Society, the state’s largest physicians’ group, supported the disclosure legislation and even helped write it. But the medical society also pushed for disclosure limitations, such as the removal of malpractice and disciplinary postings after 10 years, and the omission of sanctions by nonhospital providers. The Massachusetts database became a model for other states’ medical boards. Over the last decade and a half, however, other states have taken advantage of technological advances to make their records increasingly transparent to consumers, while the Massachusetts statute has remained unchanged. While medical board officials insist that they value transparency, they also say disclosure has limited power to keep patients safe. For four years, the board has been pushing for rigorous - but private and nonpunitive - peer reviews, charging doctors with policing themselves, and empowering healthcare facilities to handle most errors internally without reporting them to the board or to the public. But there is scant evidence that doctors are willing to hold one another accountable. Among roughly 35,000 licensed physicians in Massachusetts, an average of 41 per year were reported to the medical board by fellow doctors from 2001 to 2010, according to the board’s annual reports. “If the medical profession truly believes that self-regulation and peer review are essential to high-quality health care, then it must show the public through meaningful reporting that the system works,’’ said Nancy Achin Audesse, a former state senator and longtime patients’ rights advocate who directed the board from 1999 to 2008. Hospitals are even less stringent about disciplining doctors. In the last decade, Massachusetts hospitals limited, suspended, or revoked clinical privileges an average of just 18 times per year, according to the federally maintained National Practitioner Data Bank, which registers disciplinary actions and malpractice payments across the country, but keeps doctors anonymous. Even the medical board has proven to be passive and slow to discipline the state’s doctors. Last spring, Public Citizen rated Massachusetts 47th in the country with just 1.83 medical board penalties per 1,000 doctors. Aims, the board’s chief of staff, said the low ranking is a positive indicator that Massachusetts has some of the nation’s best doctors. But the number of cases that go unpublished because of Massachusetts’ failure to keep pace with other states’ disclosure standards is staggering: In all, the Initiative found 711 disciplinary actions taken by the board and records of 2,984 malpractice payments between 1990 and 2001 are not available in the state database because of the 10-year posting limit. By the end of this year, the 73 board actions and 222 malpractice payments from 2002 will vanish also. In addition, disciplinary actions taken by the board against 283 doctors during the last 10 years are missing from the state website. Because the doctors have left the state or given up the practice of medicine, their profiles have been taken down by the state medical board. And when it comes to recent malpractice payments, more than a quarter of the 2,467 payments made during the past decade are no longer shown on the profiles of the doctors responsible for the malpractice. Most of those doctors, too, have given up their practices or left the state like Ames-Castro, and their profiles have been taken down, Aims said. And even some doctors who continue to practice here enjoy spotless profiles because the state medical board has not been officially informed of the payments by the doctors’ malpractice insurers. For two years, the profile of Dr. Dorina Abdulah of Quincy made no mention of a $2.4 million judgment in March 2010. During a 2001 physical examination, court documents show, Abdulah noted a “slight systolic murmur’’ in the heart of Antwoine Key, a college basketball recruit from West Roxbury High. Though the abnormality is commonly associated with hypertrophic cardiomyopathy, a congenital defect similar to the one that killed Boston Celtics star Reggie Lewis in 1993, Abdulah cleared Key to play. 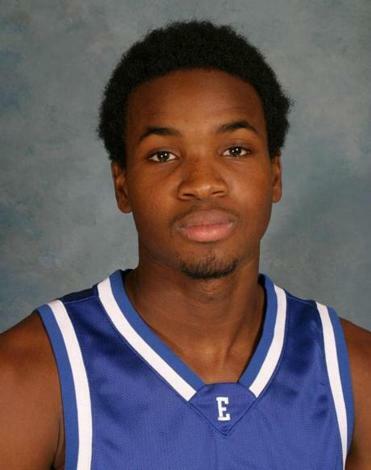 Four years later, during Key’s senior season at Eastern Connecticut State University, the 22-year-old died after collapsing during a game at Worcester State University. An autopsy revealed the cause of death: hypertrophic cardiomyopathy. Key’s family sued Abdulah and won in March 2010, but the payment was not posted online until this month, after reporters made inquiries about the omission. Medical board officials said such errors are rare, and said they are confident that malpractice insurance companies are complying with state and federal laws and reporting the results of every lawsuit. Court clerks also are required to submit reports to the board, but their filings indicate only that a suit has concluded, and cannot be used to update a doctor’s profile. There is not even a hint in the database that Reuben, the former chief of acute pain at Baystate Medical Center, pleaded guilty to charges of health care fraud in US District Court in February 2010, after the hospital discovered he had fabricated 21 studies that encouraged the use of Pfizer and Merck painkillers. Reuben was a paid speaker for Pfizer, and the drug company funded some of his studies. Reuben was sentenced to six months in federal prison but is free again and has applied for a medical license in Vermont. That state’s medical board is reviewing his application and could admit him as soon as April 4. Last year, the Board of Registration in Medicine appeared ready to make its profile database more transparent in at least one department: It planned to start posting nonhospital disciplinary actions, and even notified a doctor who had been censured by a nursing home that the punishment would be listed on his profile. But the board backed down when the physician, supported by the Massachusetts Medical Society, objected. The nursing home discipline never was posted. Also contributing to this report were Jesse Nankin and Melissa Tabeek. The Initiative for Investigative Reporting, in the School of Journalism at Northeastern University, is funded by a grant from the John S. and James L. Knight Foundation to support nonprofit investigative reporting. Further information about this issue can be found at the website northeastern.edu/watchdognewengland. E-mail watchdognewengland@neu.edu.